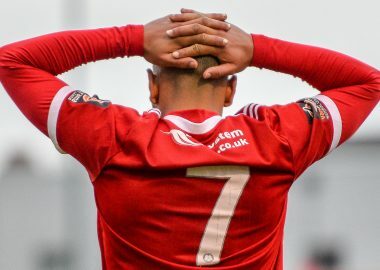 Welling won the London Senior Cup for the first time in 29 years last night as they overcame Brentford B at Wingate & Finchley. Manager Steve King showing faith in his whole squad made 8 changes from the side who beat Bath City at home and he now faces a selection headache in every position as his side produced a superb performance to bring home the cup for the first time since the 1989/90 season. The winning goal came in th 42nd minute when Mo Bettamer met a Braham-Barrett cross that he powered against the cross bar only to expertly nod in the rebound out of the reach of the goalkeeper. The Wings had further chances to extended the lead through the tireless Luke Rooney and Zac Newton but despite a late Brentford onslaught Welling held firm to lift the trophy.